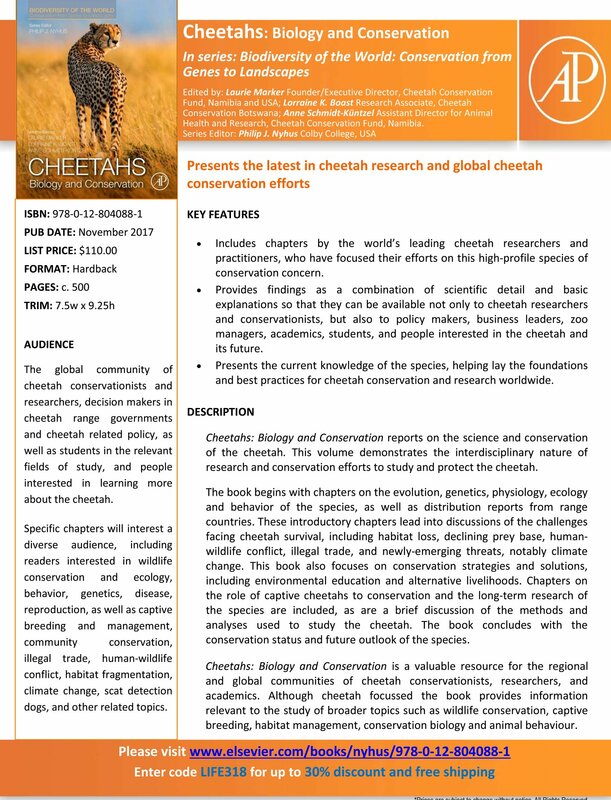 Dr. Elena Chelysheva, Mara-Meru Cheetah Project Founder and principal investigator, co-authored a new book «Сheetahs: Biology and Conservation», published in November 2017. The book presents the latest in cheetah research and global cheetah conservation efforts. The book is written by the world’s leading cheetah researchers and practitioners. It provides findings on cheetah evolution, genetics, ecology, physiology and behavior as a combination of scientific detail and basic explanations, so that it can be useful not only to cheetah researchers and conservationists, but also to all people interested in the cheetah and its future. Use your chance to learn more about cheetahs, and what we do to save them from extinction. Order the Book now with a 30% discount and free shipping! (See a flyer for details).